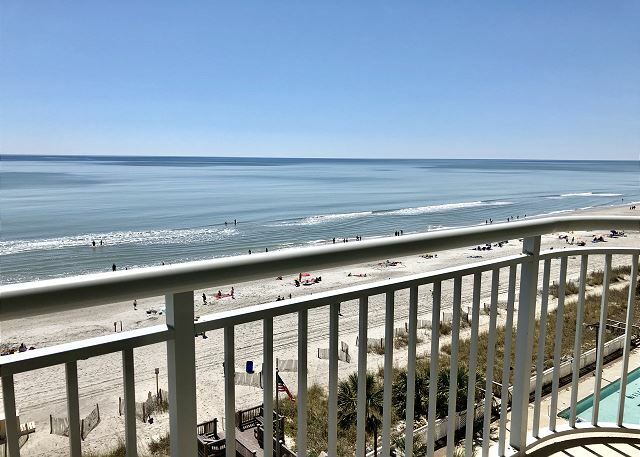 Wake up to the sounds and sights of the ocean. 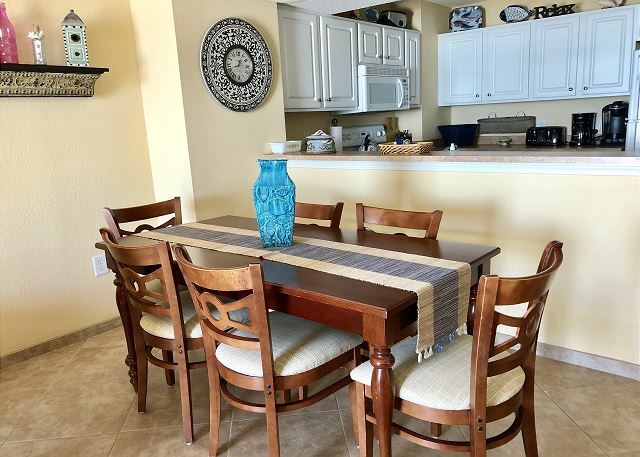 Enjoy your morning coffee on your private oceanfront balcony. 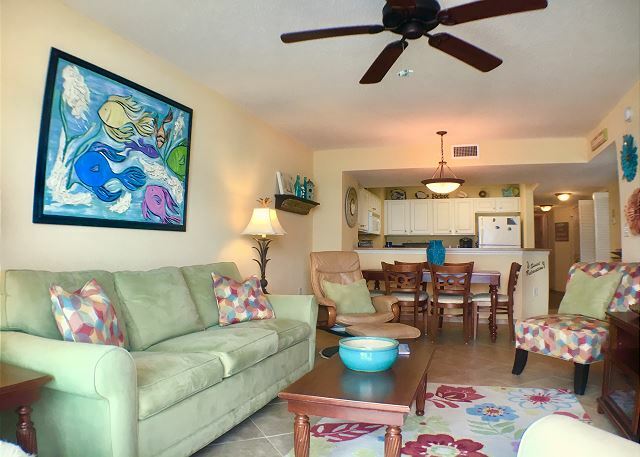 This 3 bedroom/ 3 bathroom Oceanfront condo is decorated with bright and cheery colors that will take you away and give you the dream vacation you deserve. 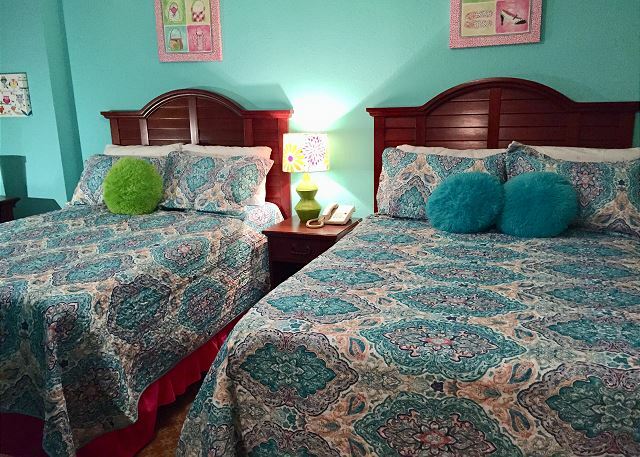 Grand Atlantic Resort is great for families and golfers alike. 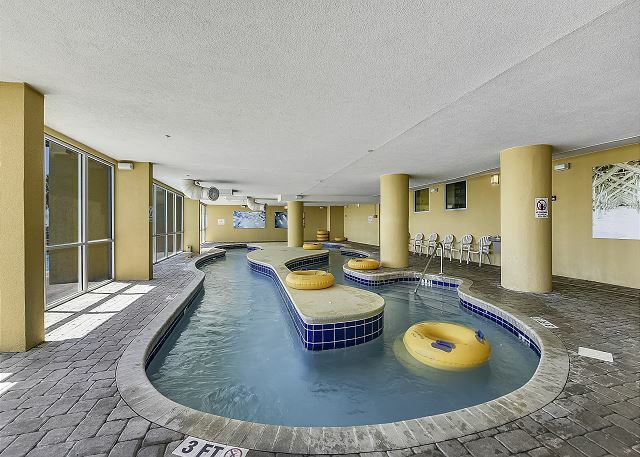 We offer year round amenities, including an indoor heated swimming pool, 170 foot indoor heated lazy river, hot tub, and a large indoor heated kiddie pool. 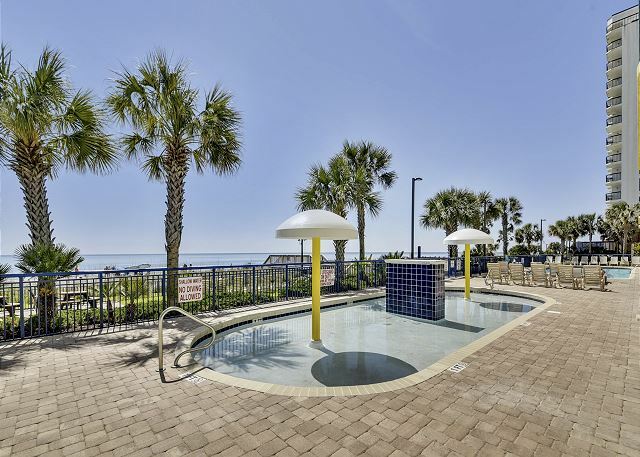 Outside, the resort features a 65' outdoor pool, a kiddie pool offering endless fun and fountains, and a grass lawn lined with chaise lounges, overlooking the ocean, for sunning. 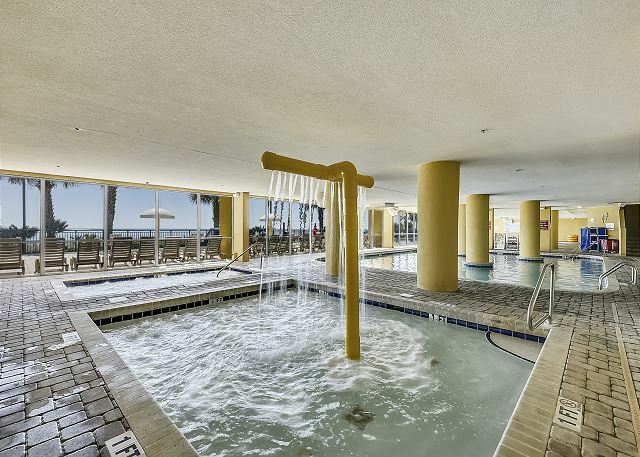 Onsite you'll also find Scooby's Restaurant and Ice Cream (seasonal), Convenience Store (seasonal), and fitness center (just steps away from the entrance to the condo). 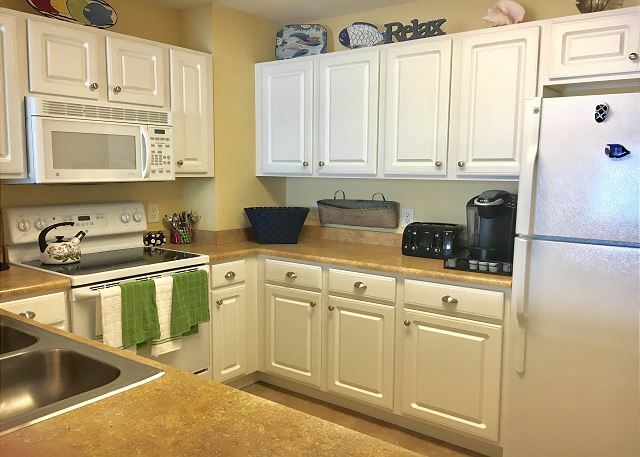 A fully stocked kitchen with kitchen utensils, cutlery, cookware, dinnerware, 4 slice toaster, Keurig coffee maker, and much more. 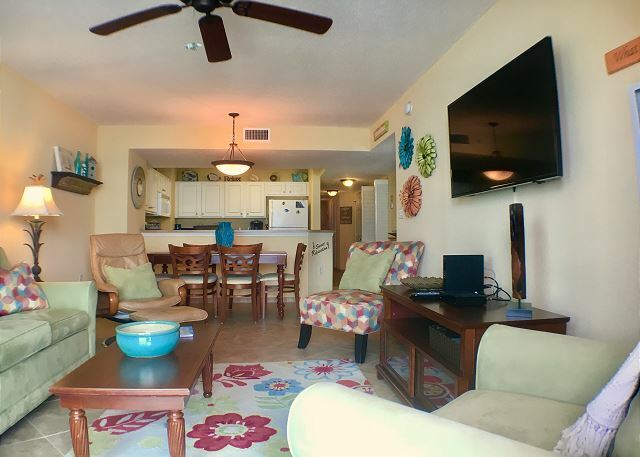 A spacious living room with large flat screen TV, plenty of seating, and an ocean front balcony. 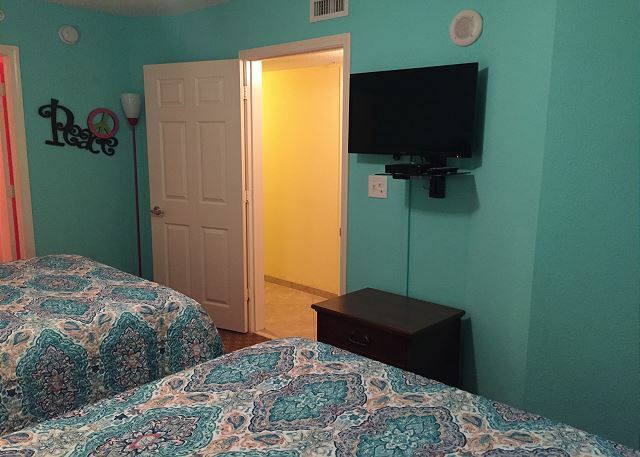 3 bedrooms and 3 bathrooms.There is a TV in all three bedrooms and all bedrooms have direct access to a full size restroom. 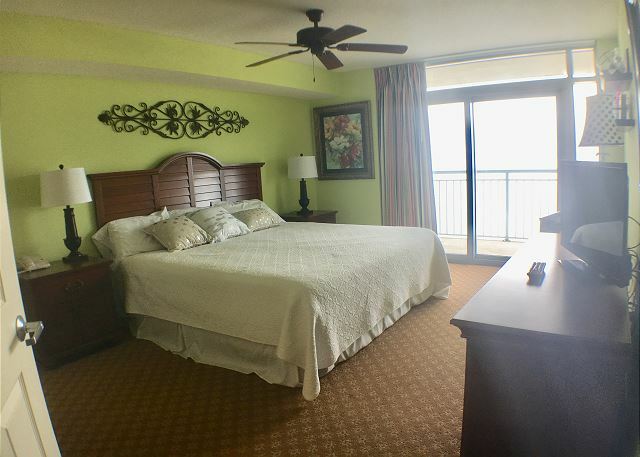 Master Bedroom- King Size bed with new pillow top mattress, private restroom, and oceanfront balcony access. 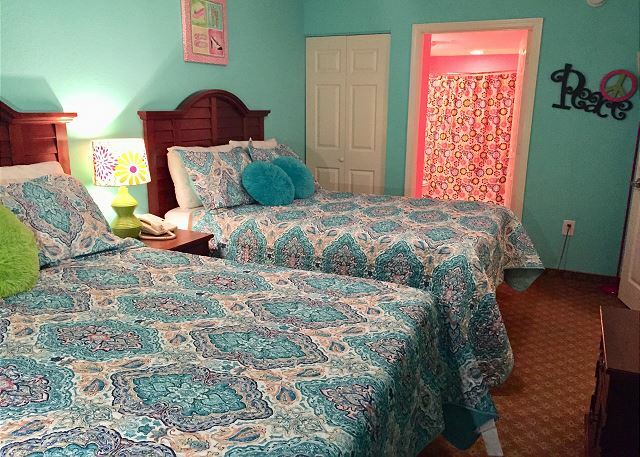 Guest room #1- 2 Double beds with pillow top mattresses, and private restroom. 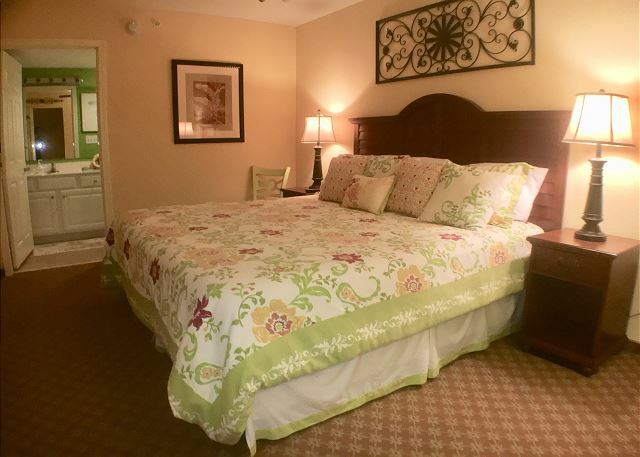 Guest room #2 - King Size bed with pillow top mattress, and restroom access (restroom also accessible from hallway). 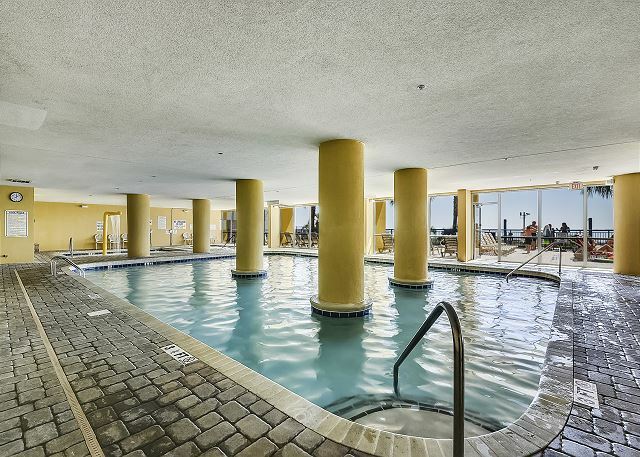 After fun in the sun, you will enjoy the proximity to Myrtle Beach’s many attractions! 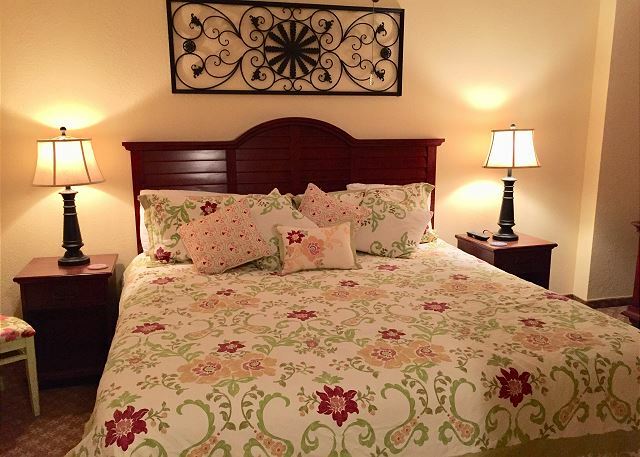 Walk to a number of really good restaurants, and miniature golf is only 3 block away. 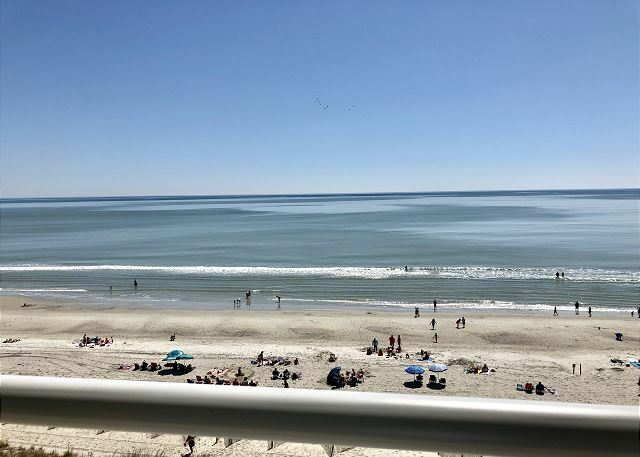 So many things to do in Myrtle Beach and so little time! 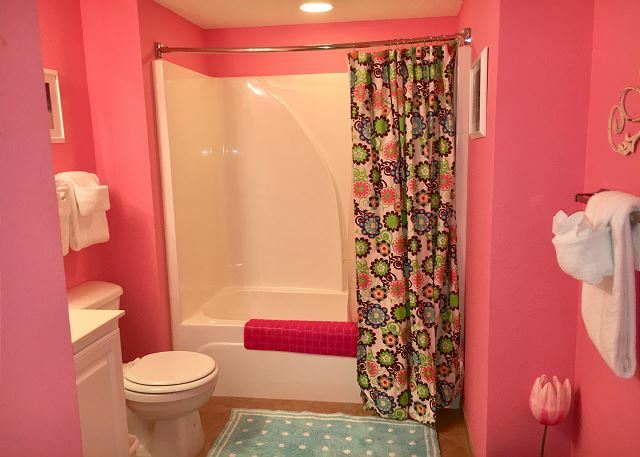 Located very close to Family Kingdom and Splashes Water-park (7 minute walk). 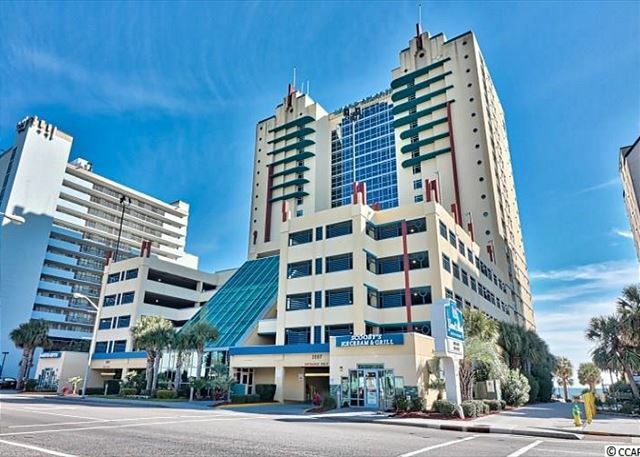 Broadway at the Beach, We are also only a short drive to Broadway at the Beach, Sky Wheel, Myrtle Beach State Park, Radical Ropes, Pirates Voyage Dinner and Show, fishing charters, Aquarium, Legends in Concert, Carolina Opry, Alabama Theater, Duplin Winery and Brookgreen Gardens, just to mention a few! 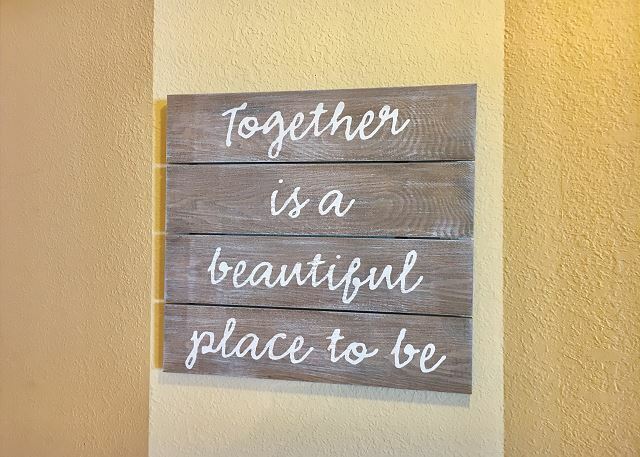 For the shoppers, beautiful Market Common in only 2 miles away, and Coastal Grand Mall is 3 miles away. 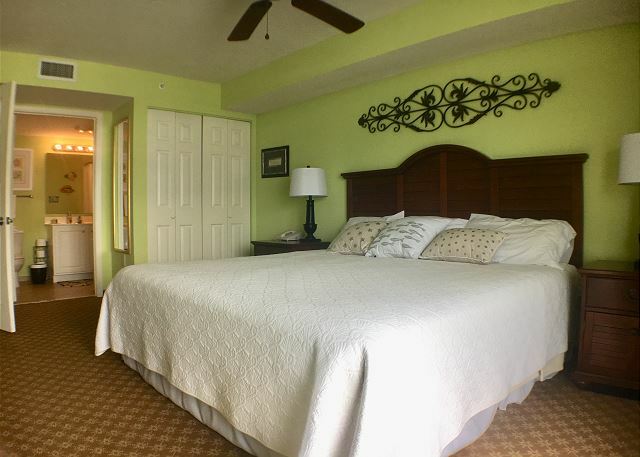 All linens and bath towels are included, except for linens for the sleeper sofa (Queen Size) For your convenience, this home includes WiFi, a washer and dryer, and parking garage with 2 parking passes (No exceptions, the resort only allows 2 parking passes). Motorcycles and trailers are not permitted. 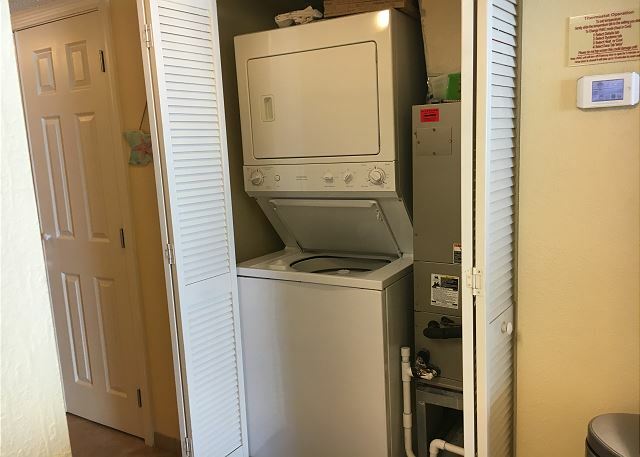 This is by far the nicest unit we have ever rented! 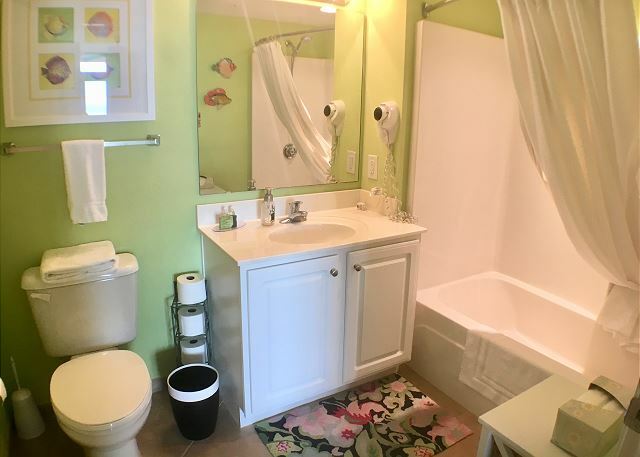 It is in a great location, close to many attractions, the airport, and steps away from the ocean. 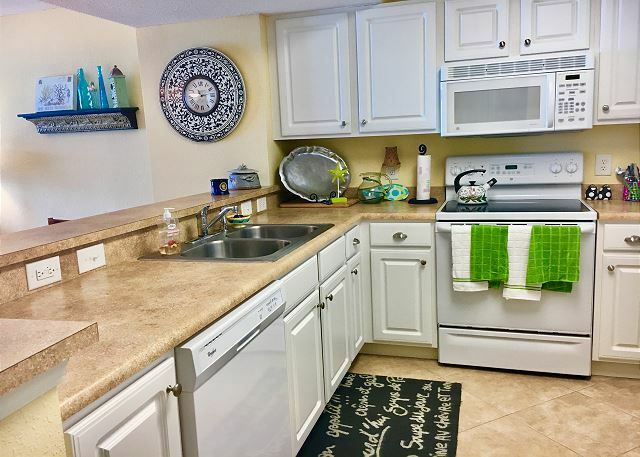 The unit is spotlessly clean, and has a well-stocked kitchen, with dishes, glasses and pots and pans. There were also beach chairs, beach toys, noodles, flotation devices for the kids, even though we didn’t need them. 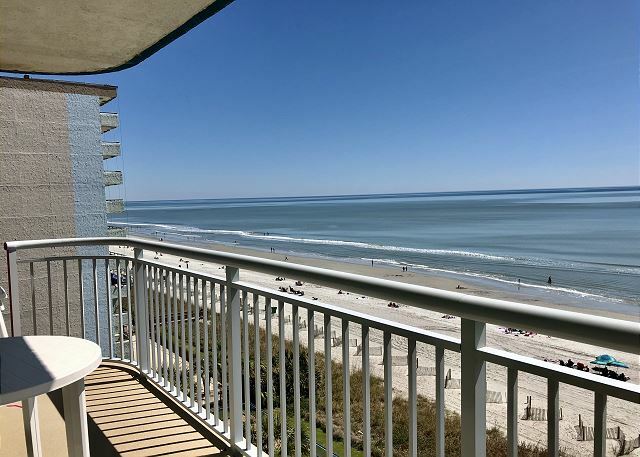 The 25 foot balcony has lots of furniture to enjoy the beautiful view of the beach. 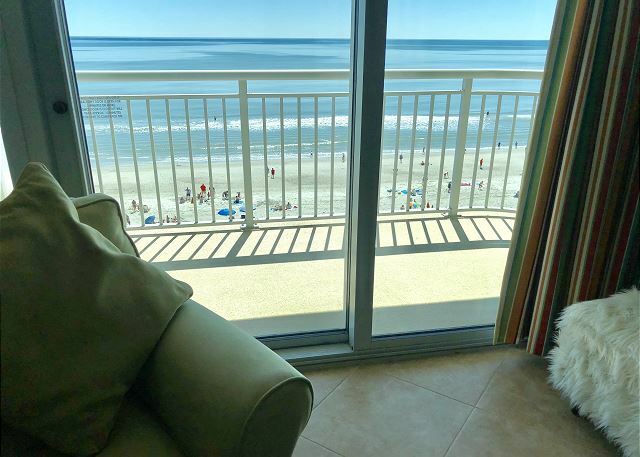 With the master bedroom at the front of the unit, we had the sliding door open at night and loved hearing the ocean waves. 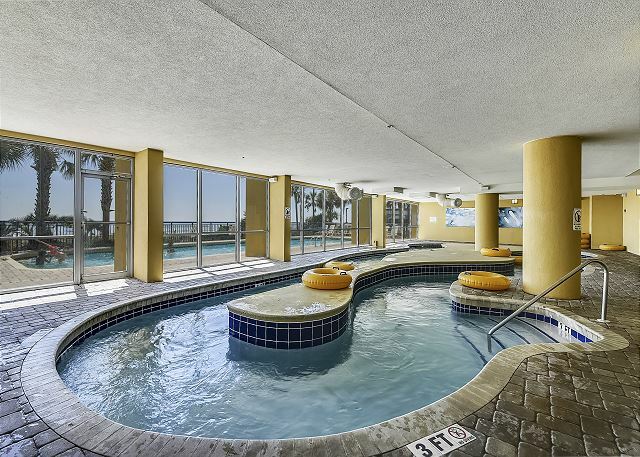 The indoor hot tub, baby pool, big pool and lazy river were all heated and very comfortable to swim in on a cool day. The Wi-Fi is fast and reliable. 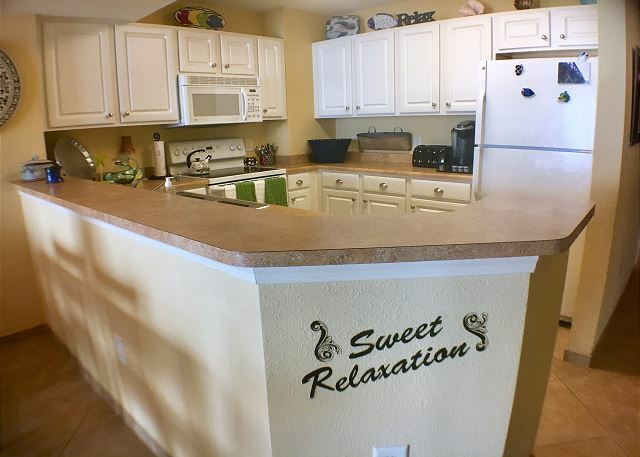 The owners, and Southern Coast Vacations rental management staff, were very helpful and quick to respond to any questions we had. 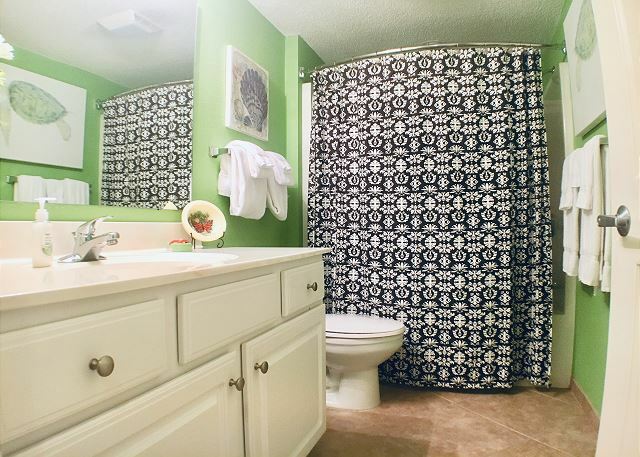 Kudos to the owners Patricia and Matthew, for a job well done! We are looking forward to coming back next year.